A powerful new weather satellite launched today (March 1) from Cape Canaveral Air Force Station in Florida, heading toward a perch above the eastern Pacific Ocean to monitor extreme weather as it develops. NOAA's GOES-S satellite launched March 1 on ULA's Atlas V rocket from Cape Canaveral Air Force Station in Florida. The National Oceanic and Atmospheric Administration (NOAA) will operate GOES-S in partnership with NASA. The Lockheed Martin-built satellite will join GOES-East, currently in orbit, to provide a broad, high-definition view of weather on Earth. It is the second in a series of four advanced weather satellites that will reside in geostationary orbit — hanging in place over one spot on Earth as they orbit and the world turns. "GOES-S will provide more accurate data with higher temporal resolution to track storm systems, lightning, wildfires, the coastal fog [and] volcanic ash plumes that impact the western U.S., Alaska, Hawaii and the coastal to eastern Pacific ocean," Louis Uccellini, director of the National Weather Service at NOAA, said during a news conference Tuesday (Feb. 27). "There are unique aspects of these intense Pacific storms that we'll be able to observe more accurately and use in our forecast process." "I believe very strongly GOES-S will improve the scientific understanding for the western U.S., just like GOES-East has for the eastern U.S., and is another step forward in our overall effort to build a weather-ready nation," Uccellini added. Like GOES-16, which provided groundbreaking new data and imagery during the severe 2017 Atlantic hurricane season, GOES-S will bring this same new technology to the Pacific Ocean. 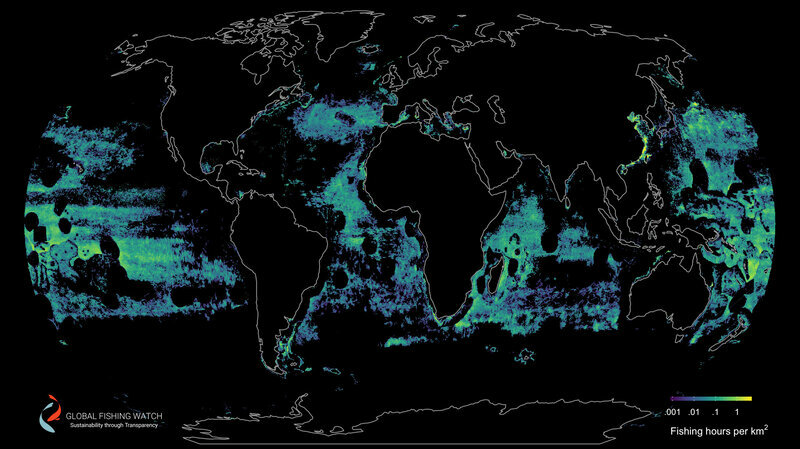 This means forecasters will have new high-resolution imagery of atmospheric rivers, as well as Pacific hurricanes that track toward Hawaii or Mexico during the summer and autumn. The current GOES-East satellite launched in 2016, and it has provided views of developing weather in unprecedented detail. NOAA used GOES-East to track hurricanes Harvey, Irma, Maria and more, as well as January's bomb cyclone and other extreme weather events, including wildfires developing in northern Texas. The new GOES-S will be at a vantage point to help analyze California's wildfires in more detail, as well. The satellite will scan the skies five times faster than the GOES-West satellite it will replace, will have four times the spatial resolution and use three times as many spectral bands. Besides fire, lightning and tropical storms, the satellite can also track the influx of charged particles and radiation from the sun called space weather. The satellite will be able to scan each spot below it every 5 minutes, or every 1 minute to 30 seconds on special focus areas — in the latter case, for developing weather events. 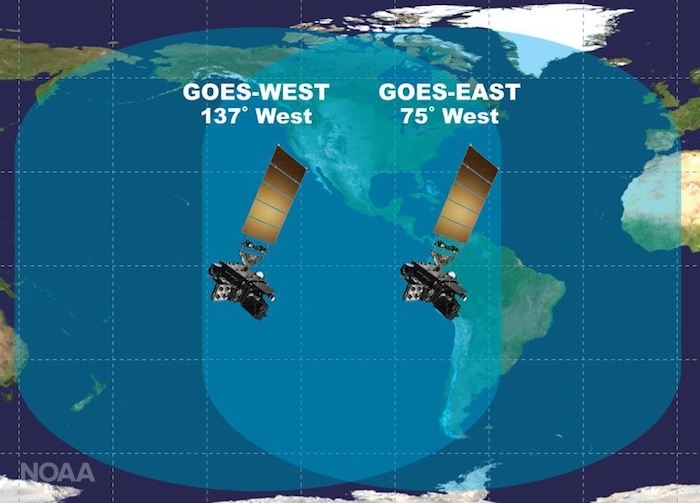 Together, GOES-S (which will be renamed GOES-West) and GOES-East will be able to focus on four locations to refresh views every minute, or two locations to refresh views every 30 seconds. "Those of us in the severe weather community are really excited about the data we're seeing from GOES-16 [GOES-East]," Kristin Calhoun, a research scientist with NOAA's National Severe Storms Laboratory, said during the conference. "And we're also eagerly anticipating the increased coverage from GOES-S across the United States." 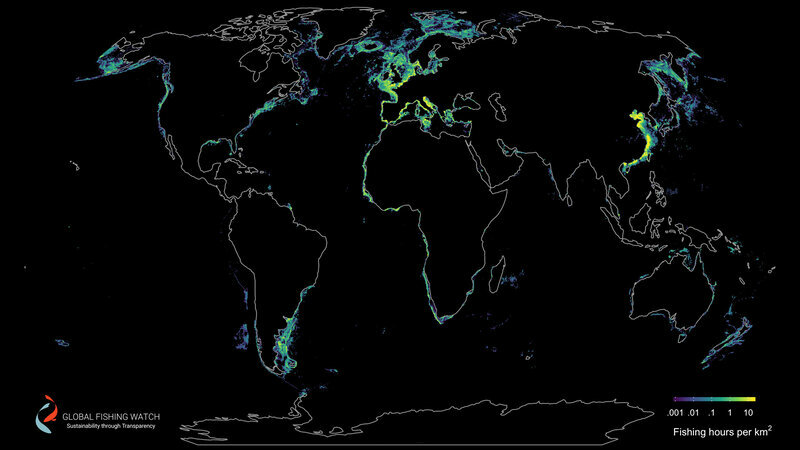 "For the first time, space-based observations from geostationary satellites and ground-based observations such as Doppler weather radars are in cadence with each other, providing the ability to create a top-to-bottom, linked profile of a severe thunderstorm through direct observation," Calhoun added. "This has a direct impact on severe thunderstorm research, diagnosis and hazardous weather forecasting." 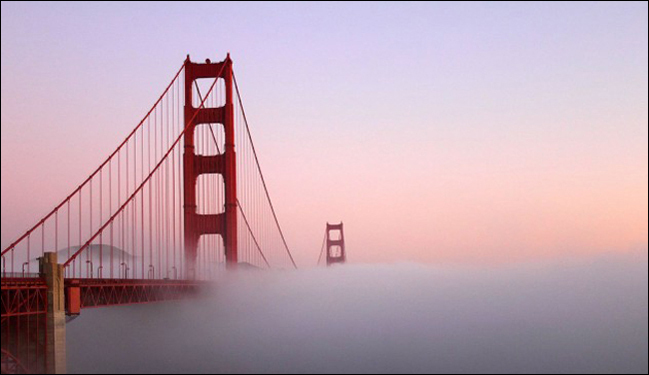 You don’t have to live on the West Coast to know that coastal fog is a hallmark weather event in places like San Francisco and parts of the Pacific Northwest. Not only will GOES-S provide high-resolution, real-time imagery of fog conditions, but the satellite’s rapid scanning capabilities will also help forecasters predict when fog will clear. At the news conference and at another one held earlier on Feb. 27, NOAA and NASA researchers shared stories of how GOES-East's remarkably clear views have aided in search-and-rescue operations as well as in forecasting. 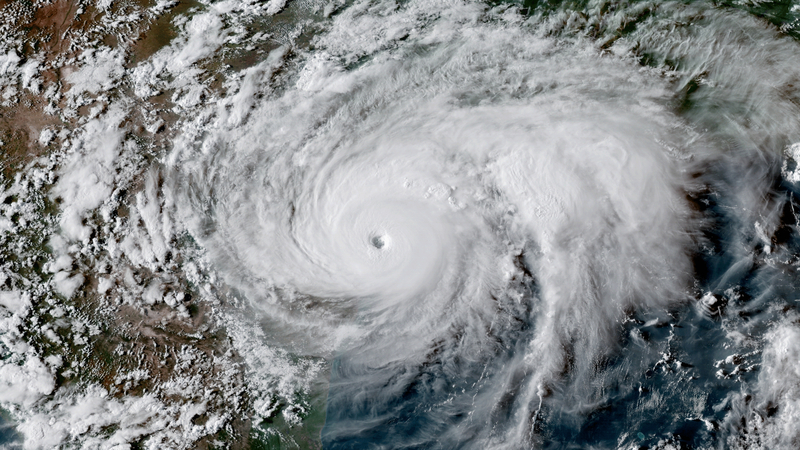 During Hurricane Harvey, for instance, data from the satellite allowed first responders to know when it was safe to go out as the storm's eye passed overhead, rescuing more than 200 people — and when to take shelter just before the back of the eyewall swept back over. During wildfire season in California, people using GOES data were able to warn local authorities about fires before they'd even been spotted on the ground. "The impact of the visualization, the actual videos, the movies coming out is really visceral," Steve Volz, NOAA's director for satellite and information services, said in the earlier conference. "It allows the researchers to see the dynamics in a way that just looking at numbers just doesn't reveal — the visual impact is remarkable." GOES-S will boost weather prediction all across the western U.S., but the new satellite will be especially valuable to Alaska. That’s because NOAA’s current geostationary satellites lack sufficient resolution in regions near the Arctic. 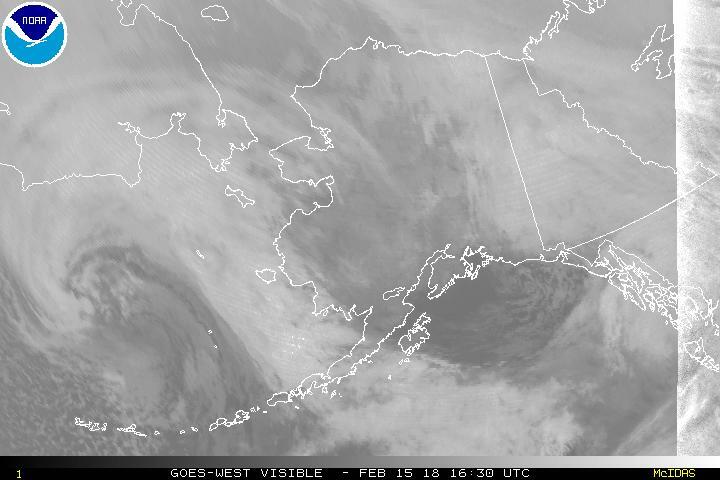 GOES-S, however, will provide a significantly clearer view of the Last Frontier - all the way to Alaska’s North Slope, and allow for applications such as tracking sea ice. The satellite was deployed a little after 8:30 p.m. EST today (1:30 a.m. GMT on March 2). It will now spend about three weeks making its way into geostationary orbit. After about six months at that latitude preparing its instruments and running checks, it will move to its final vantage point over the eastern Pacific Ocean, taking on the official name GOES-West. GOES-S will complement other geostationary satellites, like GOES-East, as well as polar-orbiting satellites like JPSS-1, which launched last November. Several other nations share weather satellite data with each other and NOAA to provide more complete coverage. 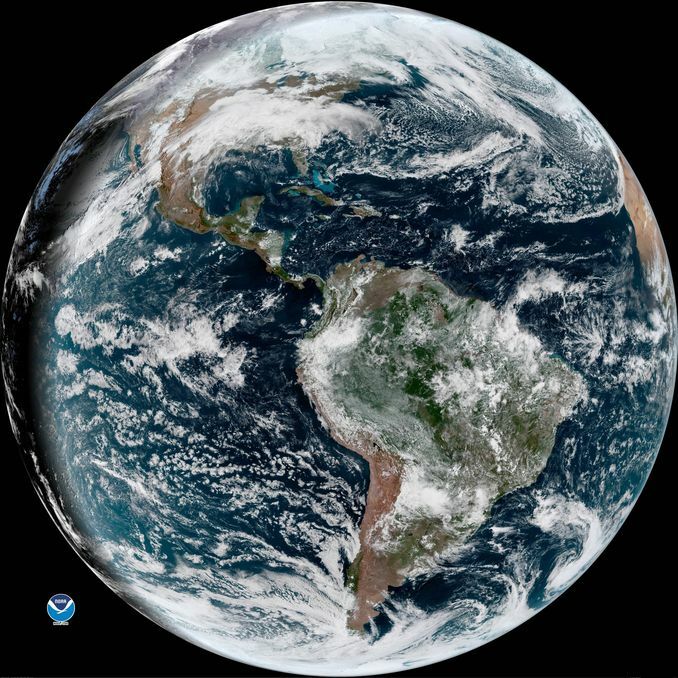 A stunning view of Earth taken by the GOES-16 satellite. "Every forecast, whether it's one day, two days, three days, out to seven days in advance, depends on sophisticated numerical models, the world's fastest computers and a global observing system," Uccellini said. "And NOAA's satellite data provides the backbone for the global observing system, and is the critical element for weather forecasting in the extended ranges. The geostationary satellite, the GOES series, is a crucial component of today's global observing system." The four-satellite GOES-R program has a total budget of $10.8 billion through its entire life cycle. Development began in 2005, and the program will extend through 2036. The next satellite, GOES-T, is scheduled for launch in 2020. NOAA : Five Reasons GOES-S will be a Game-Changer for Weather Forecasts in the Western U.S. In 1939, Coast Survey published its first chart with a new focus on depth contours. 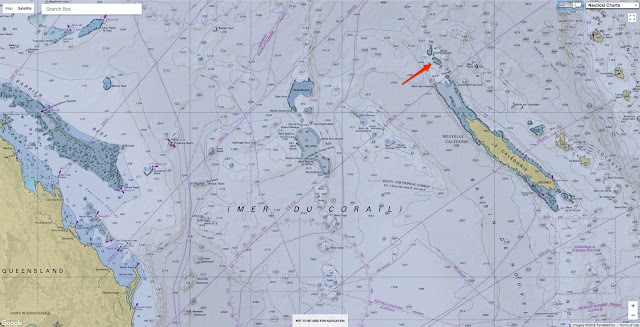 The new depth curves helped navigators of that era locate the position of their vessels by comparing a line of echo soundings with the charted depth contours. In 1844, the United States Coast Survey published its first official nautical chart. It was the result of an immense amount of manual topographic and hydrographic surveying, manual drafting, manual engraving on copper printing plates, and manual intaglio printing (using black ink from copper plates). 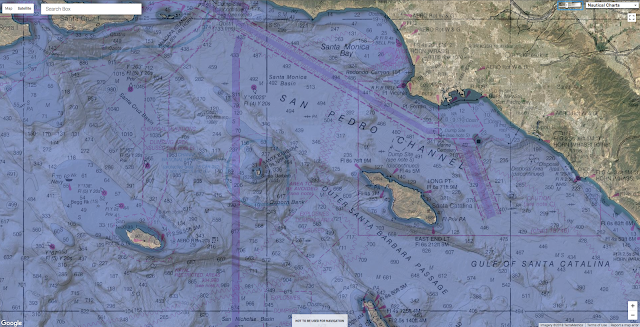 In 1939, the United States Coast and Geodetic Survey (C&GS) published its first nautical chart that included isobaths as the primary representation of the seafloor rather than individual depth soundings. Data for the isobaths were collected by a recording echo sounder, while topographic revision was performed from aerial photographs. The production process included manual and mechanical scribing on wet-plate glass negatives; additional chart compilation using photography to merge in standard elements; photographic transfer to aluminum lithographic printing plates; and printing in multiple colors on a powered rotary offset press. A major innovation for the C&GS came in March 1939 with the publication of a new edition of Chart 5101, designated 5101A (U.S. Department of Commerce et al. 1940, 99; Shalowitz 1964). 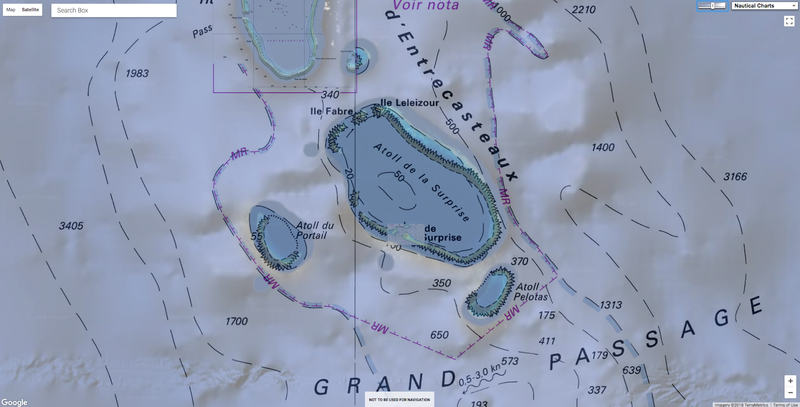 It marked the beginning of a new role for bathymetric contours. It was the first chart designed for ships that have their own echo-sounders on board. Recording echo sounders allowed the survey to collect orders of magnitude more information about landforms at the bottom of water bodies. Continuing to place primary responsibility for representing this information with the point data that soundings represent did not do justice to the richness of the data now available. Instead of playing a subsidiary role to the soundings on the chart, contours could now play the same role as topographic contours, that of being the primary representation of the land surface. This change in role can be seen in such chart editions as MH400 1938, 1942, and 1951, and E1200 1927, 1938, and 1948. As these series progress, contours gain significant detail, while soundings either remain as they were or, as in E1200 1948, are dramatically reduced. The beginning of the full transition away from the last of the original techniques began in 1939 when the first chart was published that fully incorporated the possibilities for different symbology offered by the vast quantities of data created by recording echo sounders. 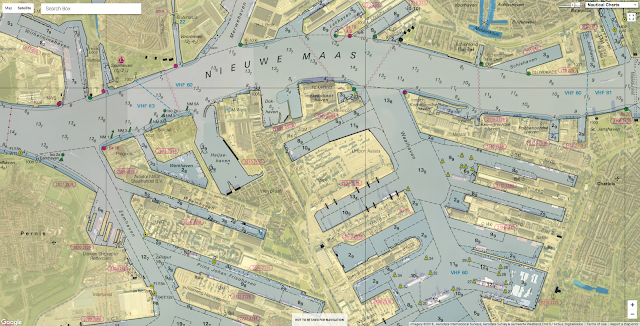 Charts continued to evolve after 1939, entering a new phase around 1980 based on internationally approved symbology, but the greatest changes are evident by 1939. Tech giant Google (Nasdaq: GOOG) is partnering with the Marine Industries Association of South Florida to create a water version of its popular Google Street View maps that would cover the region’s major waterways. Not only will this create a detailed visual map covering 143 nautical miles along the Intracoastal Waterway and Biscayne Bay from the Palm Beach County line in Jupiter through Ocean Reef in Key Largo, it will provide the opportunity for nearby businesses to reach customers on their boats. "This is an incredible opportunity to add another tool to the toolkit of the marine industry in South Florida, which employs 136,000 people and produces an annual economic impact of $11.5 billion,” said Phil Purcell, CEO and president of MIASF. The Google Waterway View should launch as a mobile app by June when the mapping is completed. A web browser version will be available sooner. Businesses will be able to buy a listing to be promoted on the map, or provide a 360-degree view inside their business. MIASF will work with local businesses that want to utilize the new maps with Google. Drivers on the roads can now use mapping programs to find gas stations or restaurants, so this service would provide the same aid to boaters. That’s especially helpful because the waterways don’t have as many signs advertising the locations of businesses as roads do. “Florida leads the country in boat registrations and its waterways are used by locals and tourists every day of the year,” said Google Virtual Reality partner, Jim Hilker. MarineMax and Boat Owners Warehouse are providing the boats that will transport the Google cameras through South Florida’s waterways. In addition to the Intracoastal Waterway and Biscayne Bay, the map will cover some adjoining rivers, inlets and commercial canals. “The goal of this initiative is to increase awareness on the waterways, said Chuck Cashman, chief revenue officer for MarineMax. Anew toy has surfaced on the must-have list of leisure options for the world’s billionaire class: private submersibles they can use to explore the oceans – or even use as James Bond-style means of escape if their superyacht should come under attack. Doing a David Attenborough – Triton submersibles in deep waters off Lyford Cay, Bahamas. The global super-rich last year bought about 30 submersibles – with price tags of up to £30m – according to manufacturer Triton. These private submarines are known as submersibles because they are not independently powered, instead relying on batteries that have to be recharged by a support vessel. Louise Harrison, Triton’s European sales director, said in recent months the BBC’s Blue Planet series, narrated by Sir David Attenborough, had led to a “huge spike” in demand from wealthy buyers wanting to explore the deep and get up close to coral reefs, stingrays and whales. There is a growing number of super-rich, she said, who want more than to merely luxuriate in their good fortune. “The super-rich aren’t happy to sit on the back of their yachts with a G&T anymore. The modern ones and the young ones want to go to Antarctica and the Galápagos Islands,” she said. “They want to see what’s beneath the surface as well as what’s on top. Harrison told hundreds of delegates attending the Superyacht Investor conference in London this week that submersible manufacturers had their best year in 2017, as there has been “definitive change in direction among owners to use their superyachts for new experiences”. “The industry sold 25-30 submersibles last year,” she said. “It may not sound like a lot but they are priced at a minimum of £1m and up to £30m. The Chelsea Football Club owner Roman Abramovich, Virgin’s Sir Richard Branson, the Microsoft co-founder Paul Allen and the US hedge fund manger Ray Dalio are among billionaires who have already splashed out on underwater vessels. Indeed, one may not be enough: Dalio said he was so “wild about ocean exploration” that he bought two submersibles, which were used in the filming of the second series of Blue Planet. “The underwater world is much larger than the above-water world, has more unidentified species than the above-water world, is essential to our wellbeing, is incredibly interesting and valuable, and is mostly unexplored,” said Dalio, the world’s 90th richest person with a $14.6bn (£10.3bn) fortune. “For those reasons, and for the thrill of it, I am wild about ocean exploration. Dalio’s submersibles – named Nadir and Deep Rover – are based on his $50m expedition-focused superyacht, Alucia. The submersible ‘Nadir’ used by Blue Planet II team to film the Deep episode. It was one of many subs used to film the series. The Nadir is a Triton 3300/3 model capable of diving to a depth of 1,000 metres with a pilot and two passengers on board and sells for about $3m depending on fixtures and fittings. “Yes, it’s a lot of money,” Harrison said. Harrison said the growth in submersibles had been driven by a rapid improvement in acrylic technology, which means they can be fitted with large clear bubble domes, giving a 360-degree views of the ocean. “When you’re underwater the acrylic sort of disappears and you feel like you are actually in the ocean. It’s a bit dreamlike when you’re down there,” she said. “The acrylic is the expensive bit, as the technology has only recently got so advanced that you can go that deep. Harrison said most customers say they are interested in buying submersibles for exploration, but some have also inquired about using them as “panic rooms or escape vessels”. Triton’s biggest competitor, Holland’s U-Boat Worx, has designed an ultra-lightweight submersible model specifically for superyachts. Its Super Yacht Sub Three is piloted from the rear so the passengers can get the best view of the ocean from the front of the bubble dome. Luxury carmaker Aston Martin has joined forces with Triton Submarines to make a stylish submersible. Triton, which is based in Florida, has partnered with British luxury car group Aston Martin to work on a new $4m three-man submersible codenamed Project Neptune. The subs, which are expected to hit the market later this year, will dive to 1,650ft and have a top speed of 3.5 miles an hour. Marek Reichman, Aston Martin’s chief creative officer, said the company had decided to expand into submersibles following interest expressed by its richest customers. “Those superyacht people, what they want to experience is changing,” he said. “It’s no longer about just having a launch or having your tender.